I coach athletes in TRIATHLON, CYCLING and (trail) RUNNING. Helping them to achieve their goals (Kona qualifications, PB). Most coaching material comes from my own experience (racing at elite level in long distance triathlon under some great coaches between 2008 and 2012). Inspirational coaches that deeply impact(ed) the way I look at coaching & racing: Arthur Lydiard, Jack Daniels, Joe Friel, Bret Sutton, Brad Hudson, Gregoire Millet, Matt Fitzgerald, Denis Riché and many others! 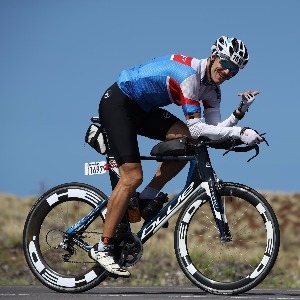 Erich is a recovering (half) ironmanholic. I have raced Kona with a moustache because only Ironman legends who had won Kona had moustaches. I have worn compression socks at work. I have slept with Heart Rate monitor on. The big 4 are definitely NOT accounting firms. I spent most of my time training, eating or sleeping (with my legs up against the wall). I look forward to hearing from you and feel free to contact me with any question! Happy swimming, cycling and running! Commitment to goals & training. HR monitor and GPS watch. Bike & Run power meter if possible. Success. Coach Erich Felbabel has been notified of your message.